FC Barcelona returned to work on Thursday morning after a few days of rest to prepare for Sunday's match against Eibar at the Camp Nou (kick-off 8.00pm CET). Luis Enrique's men are still in with a chance of winning the title should they win and if Málaga can defeat Real Madrid. 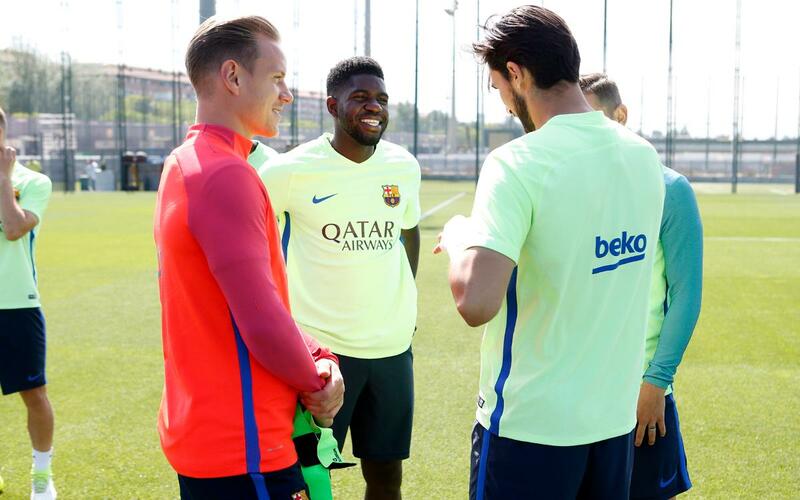 All available first team players took part in the session at the Tito Vilanova field, as did Barça B defender Marlon, who played against Las Palmas last week. Some famous faces visited the session: Formula 1 star Sebastian Vettel and ex-Barça player Abelardo greeted the players and took a peek at how the team trained.